As nature grows dormant, it’s time to start planting the seeds that will flourish in the seasons to come. Although the subdued weather is a wonderful reprieve from the hustle of summertime, the cold air and wind can be incredibly drying on the skin. So what can we do about it? Essentially, taking care of our skin with the best possible ingredients today will ensure that our complexion will be healthy regardless of what tomorrow brings. Below we’ll discuss five easy ways to help ease the transition from summer to fall with organic skincare for an effortless, perennial glow. Using an oil cleanser such as the Balm Supérieure will help return precious oils to the skin rather than strip them away. If you’re someone who doesn’t feel clean without a foaming cleanser, trust that cleansing oils are getting the job done. Our skin’s oils are drawn to the oils in the cleanser, allowing the balm to pick up all of the sebum, makeup, dirt and pollution lingering on our skin. Opting for a balm will thoroughly cleanse while also nourishing our skin’s natural barrier function. It’s important to continue exfoliating as the temperatures drop however you also don’t want to over do it. Exfoliating too often can cause damage to the top layer of the skin. This can result in an even more flaky, dehydrated complexion. Exfoliant Supérieure uses Breton Sea Salt and Willowbark Extract to gently slough off dead skin cells without stripping the skin of essential moisture. Additionally, moisturizing ingredients such as shea butter, beeswax and jojoba oil help to create a barrier against the harsh winds and low temperatures. Aligned with the theme of self care this season, it’s important to be including a regular face mask in your routine. The right mask will help to hydrate and improve the appearance of the skin. Now available in a convenient travel size, Masque Supérieure is formulated to restore luminosity, reduce signs of aging and soften skin texture. Packed with sea minerals, botanical extracts and creamy emollients, it’s the perfect self care treatment to revitalize weather-worn skin. The lower the temperature, the lower the humidity in the air. This causes the environment to draw water out from our pores, resulting in dry, chapped skin. Occlusive or oil-based cremes will help prevent this from happening which will allow your skin to retain more hydration. Moisturizers like the Crème Supérieure and Ultra Sensitive Crème are rich in nourishing oils and vitamins to rejuvenate and illuminate wherever you are. Bye bye chapped winter skin! When the cold weather rolls in our extremities become extra sensitive to temperature, causing chapped skin, dry hair and hangnails. To avoid making matters worse, be sure to watch the temperature when bathing as hot water can cause further damage. Instead, try to use warm water and a gentle cleanser like the Soap Supérieure Rose Geranium. It’s designed with purifying and soothing ingredients for dry, sensitive skin. Once skin is cleansed, return critical moisture with the nourishing Body Crème Supérieure. This luxurious moisturizer will leave skin silky smooth from shower to shower. 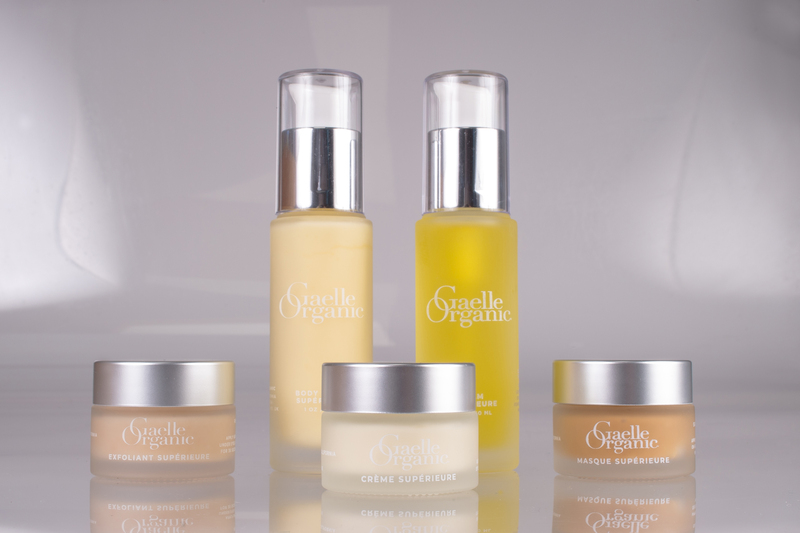 If skin begins to feel chapped while out and about, our refillable Body Crème and Balm Petites are wonderful travel friendly options for preventing damage. Autumn signifies nature’s turn to retreat, reflect and rest- encouraging us to do the same. Becoming more in tune with the seasons helps us adjust our daily practices to feel more in balance with our environment and ourselves. Accepting change as our natural state, we can adapt and better prepare for the future ahead. As nature teaches us with every shift in season- our efforts today will yield flourishing results in time. So be patient, consistent and remember to care for yourself deeply as we embrace the season of harvest.